The 2016 charity partner is: BabyJay's Legacy of Hope BabyJay's Legacy of Hope was started in Honor of Jayden "BabyJay" Souter. She was diagnosed at the age of 3 with a Wilms Tumor. She fought valiantly, but at the age of 5 earned her Angels' wings. Our charity fights for children like Jayden that deserve a chance at life. They deserve to have support during this terrible time. We provide these families support during the most critical time, while the kids are being treated. ​We invite you to join us in helping these kids. They all deserve a chance. AWARDS Runners will receive a long sleeve technical race shirt and a finisher medal NEW THIS YEAR - We added the 50K distance and each race has unique finisher medals based on the distance. 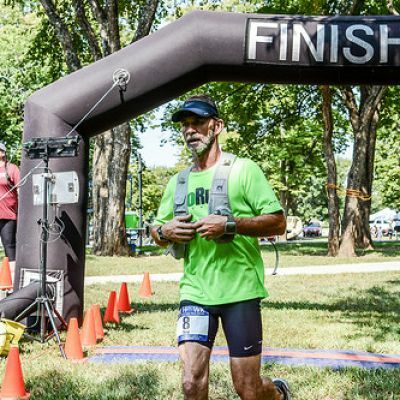 Top three male and female finishers in each race will receive an award RaceDay Timing Solutions will be providing our Chip Timing and personalized race bibs. 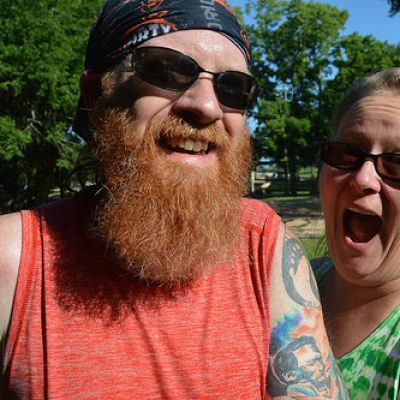 Mile 90 will once again be capturing the beauty of the race with their amazing photos. Please visit http://www.mile90.com/ to view the last several years of Sanders Saunter. 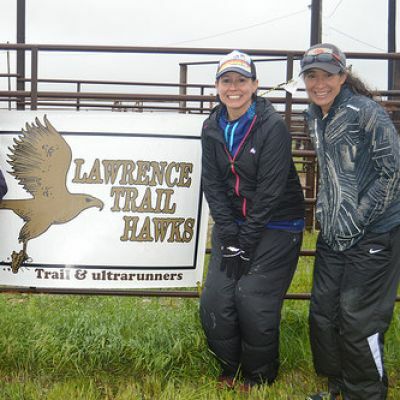 8th Annual Sanders Saunter 50K / 25K / 10K Charity Race, presented by the Lawrence Trail Hawk. 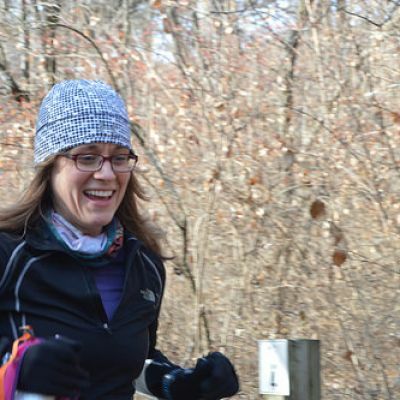 10K COURSE - has a a visit to Sanders Mound, a small hill overlooking Clinton Lake, at the beginning of the race and again near the end. The course is rugged trails running through the beautiful trees. You’ll begin at the Start/Finish and run about an eighth of a mile to the trail head for the White-blazed trail. Make a left turn onto the White-blazed trail and follow it a couple hundred yards to the Sanders Mound trail. You’ll take a left and do a quick 1.1 mile out-and-back to the top of Sanders Mound. From there you’ll get back on the White-blazed trail and head for the Lake Henry aid station. 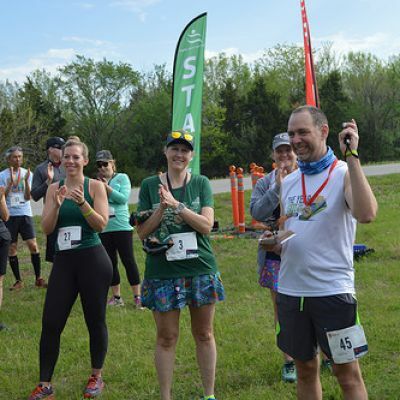 At the Aide station the 10K runners will turn around and run back on the Blue Trail and AGAIN run Sanders Mound at the end before finishing up at the Start/ Finish - Shelter 1 Canine runners are welcome! 50k and 25k course update coming soon - the course will change slightly this year. The course will be one loop for the 25K and 2 loops for the 50K . We will have 3 fully stocked aide stations: Lake Henry, Lands End and at the Start/ Finish. (drop bag available for the 50K at Lands End and Start/Finish) 25K/50K runners are required to carry a hand held or hydration pack. We WILL NOT have cups available at the Lands End or Start/Finish aide station. 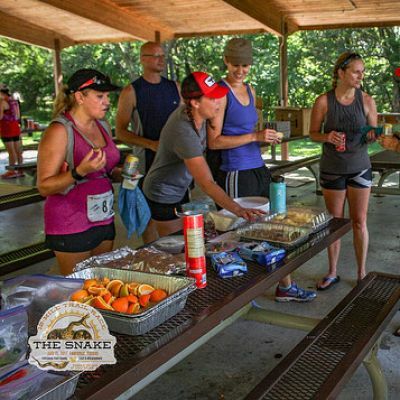 In the event the race should be postponed or canceled for reasons beyond the control of the Lawrence Trail Hawks (inclement or unsafe weather conditions; local, state or national emergency), refunds will NOT be made, but race packets, including race shirts, will be available at a location to be determined or possibly, though but not guaranteed, by mail. 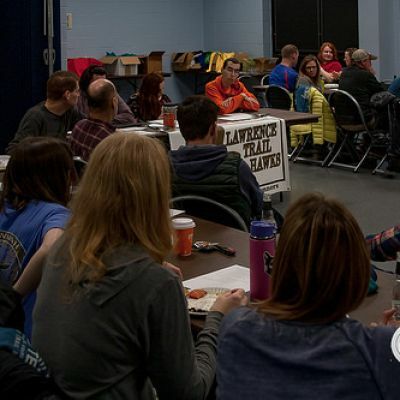 If local authorities, Clinton State Park and the Kansas Trails Council trail steward, deem the trails unsafe for runners or vulnerable to damage due to muddy conditions, an alternative course will be provided by the Lawrence Trail Hawks race Directors, pending approval by Clinton State Park and the Kansas Trails Council trail steward.